I am back from the South. 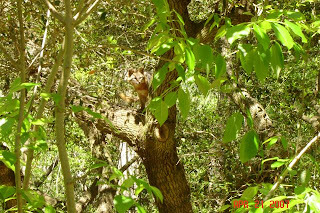 I thought I would post some pictures and some reflections about the trip. When last I left this blog, we were in Atlanta. The following morning we headed north for the Blue Ridge Parkway. It began to get very rainy and there was a big detour. So we abandoned the parkway in favor of an easier route to the Outer Banks. On the way, we stopped in a small little town called, Hickory for dinner. I was driving and got a bit disoriented and ran a red light. Jen thought this little mishap MUST go into the blog. The following day, as Jen was getting on the freeway, SHE ran a red light. Now we're even. 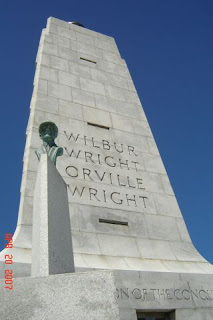 Anyway, we drove into North Carolina to Kitty Hawk where the Wright Brothers flew the first airplane. 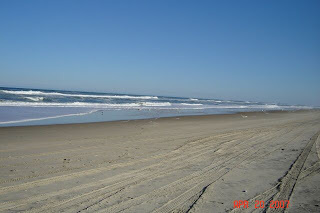 We then drove on to see Cape Hatteras Lighthouse and stopped along the way to admire the Carolina shoreline. 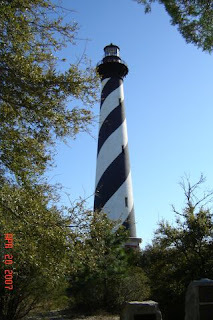 I had been wanting to see the Hatteras lighthouse for a long time. My friend, Yoshi, wrote a song about it. That was 27 years ago. Now I know what he was singing about. We continued south to Brookgreen Gardens. 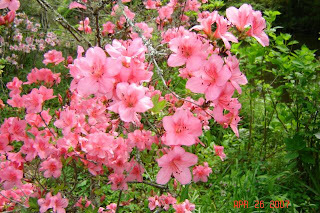 This is a beautiful garden that was a part of Archer and Anna Hyatt Huntington's estate. 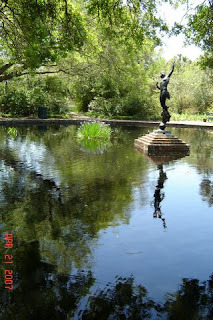 This garden has beautiful sculptures and a wildlife area. Here in So. Cal we also have the Huntington Library. We headed south to Hilton Head where we stayed for a week. We took a Gullah Heritage Trail Tour. I found the Gullah language to be very interesting. 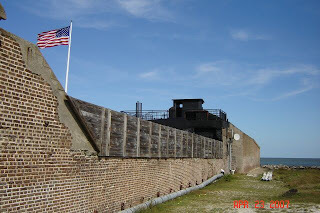 During the week, we took a side trip to Charleston where we saw Fort Sumter. This was the site of the beginning of the Civil War. 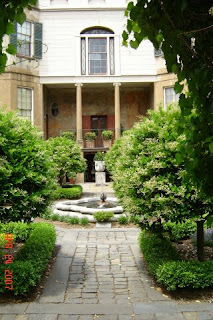 The next day, we went into Savannah and toured the Owens-Thomas House. We went on a Ghost Tour that evening. I love a good ghost story! We loved Savannah so much, we went back the next day and had lunch at Paula Deen's restaurant. I can't tell you how good the food was. Not to mention the sweet tea. Drinking this tea brought me back to my childhood. My Grandma Williams made the best sweet tea around. I had never been to a Plantation, so we went back up to Charleston and went to the Magnolia Plantation where I took these pictures. It was really beautiful there. 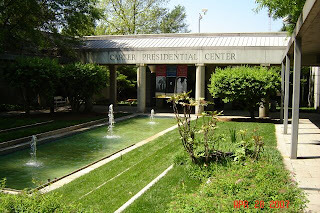 We then drove back to Atlanta and stopped at the Jimmy Carter Presidential Library before our flight back home. Back to the grind on Tuesday. Sigh. I've been checking everyday for updates and WOW! 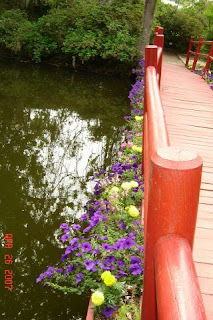 What beautiful and serene pictures. I can't believe Fort Sumter still exists and is standing(i'm not much of a historian). I wish I could've been there - makes me want to plan a trip. Sorry to hear that you have to go back to work, but I'm so happy to have my Kathy with a "K" and Jen back. Oh, forgot, you gotta tell me one of those good ghost stories you heard. I like how you did the titles in ALL CAPS. They stand out nicely. 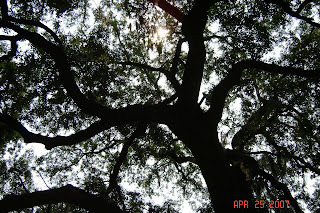 And Flora is right, these pictures are pretty.